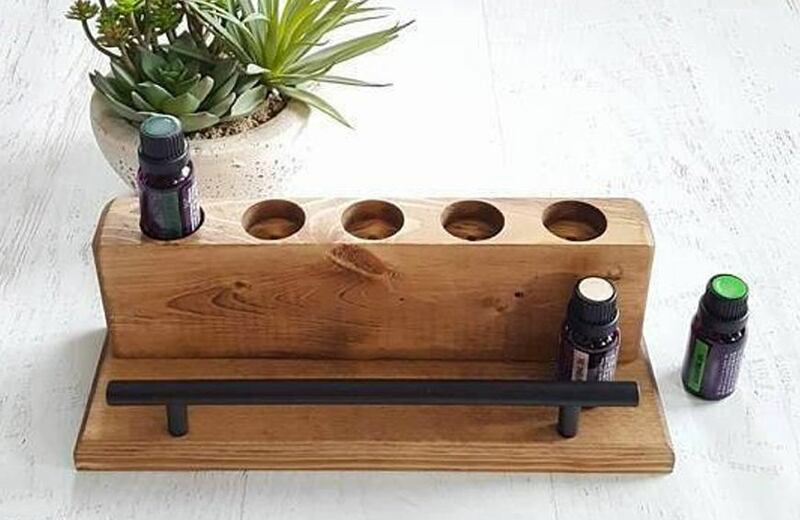 Now that essential oil collections are as well-curated as beauty regimens, it leaves you with one big question: How do you store your essential oil bottles? 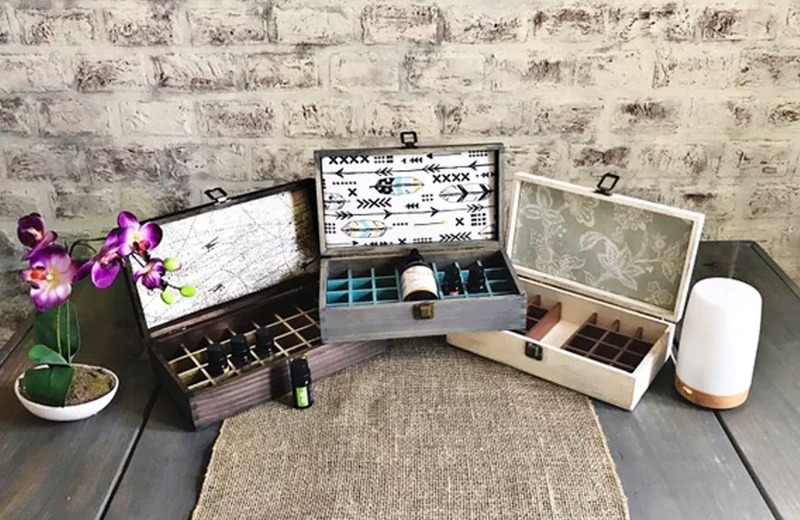 Because as the list of therapeutic benefits gets longer and longer, so too does your collection get wider and wider. 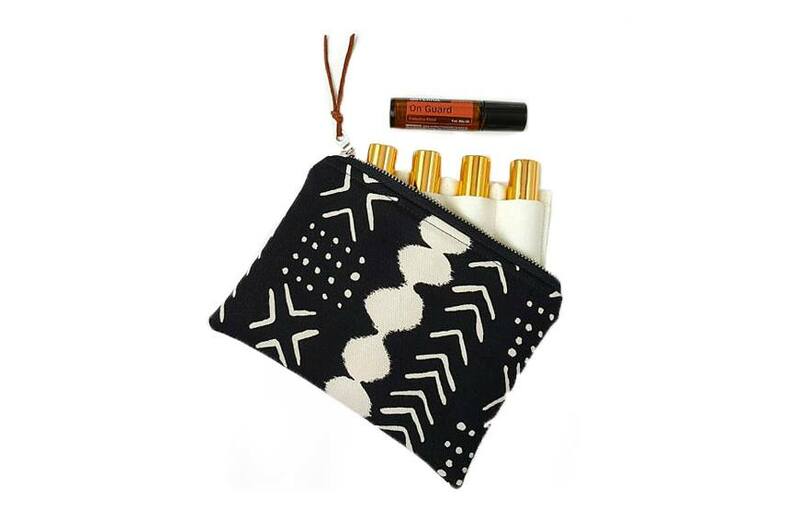 There’s lavender for when you need those chill vibes, tangerine for an energy jolt, peppermint for headaches, and the list goes on and on. And as it happens, there’s actually a right way to store them. 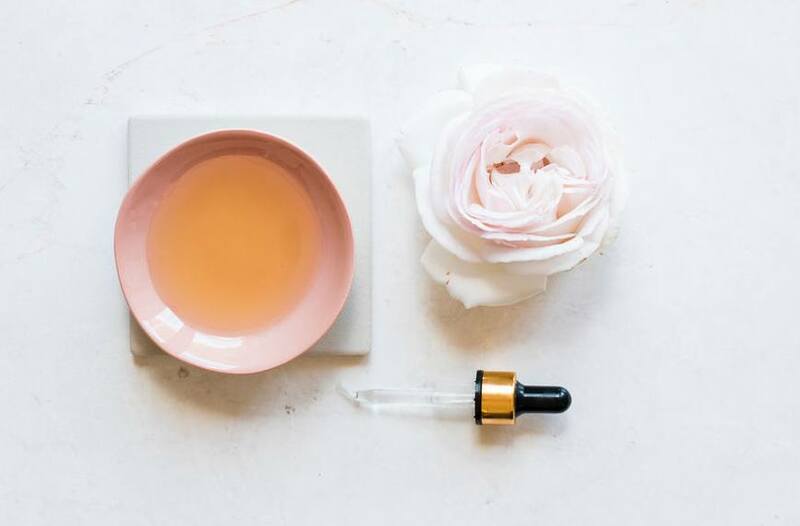 Kristina Bauer, an aromatherapist, herbalist, and formulator at Untamed Alchemy (who’s also producing and writing an aromatherapy documentary called Uncommon Scents), says that for essential oils to be effective, they need to be stored properly. 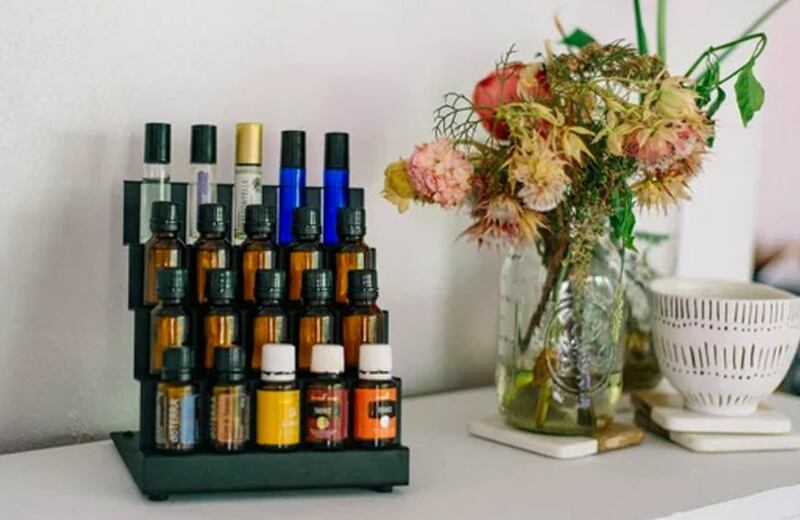 According to her, the ideal place to store essential oils is actually the fridge, but if applying cold essential oil doesn’t sound appealing, just be sure to protect them from direct light and high temperatures. And keep them out of the bathroom, because it’s the one place in your home that can turn into the tropics. 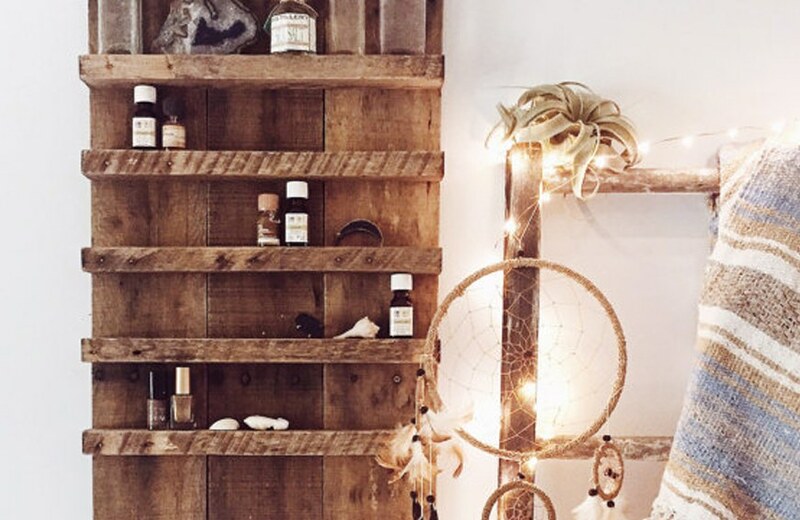 To organize those essential oils and store them the right way, here are six (stylish!) 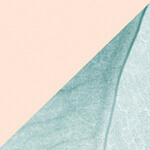 options made by Etsy artisans. 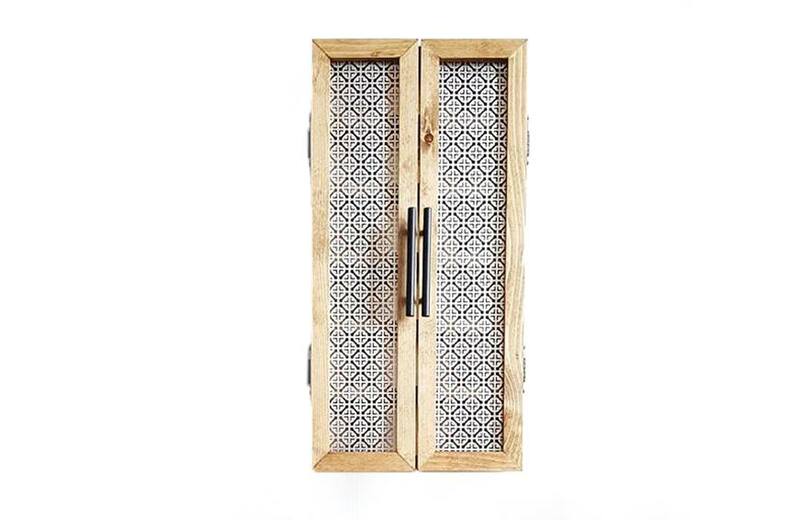 As it says in the product description, this rustic-chic cabinet, inlaid with decorative, patterned metal, “restricts enough light to ensure that your oils are stored properly.” Hang your cabinet in a spot that’s cool and doesn’t see a lot of sunlight.